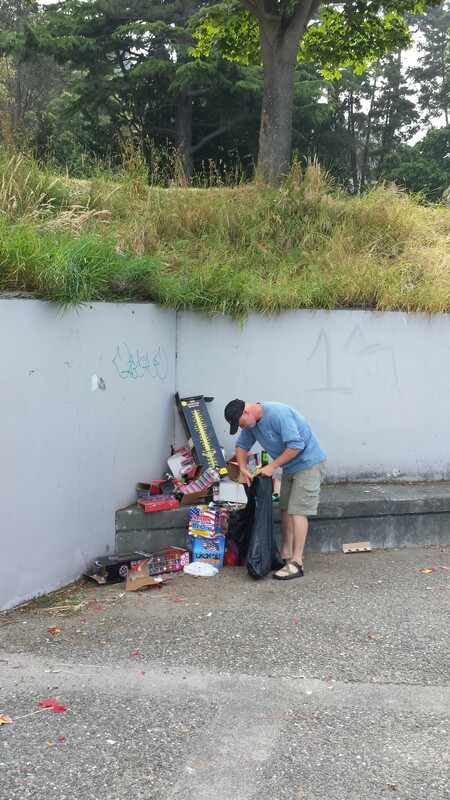 This morning my husband, also known as Scupper on BDB, and I decided to grab a big garbage bag to pick up debris from fireworks that took place at Emma Schmitz last night. I was surprised to see just how much was left behind. 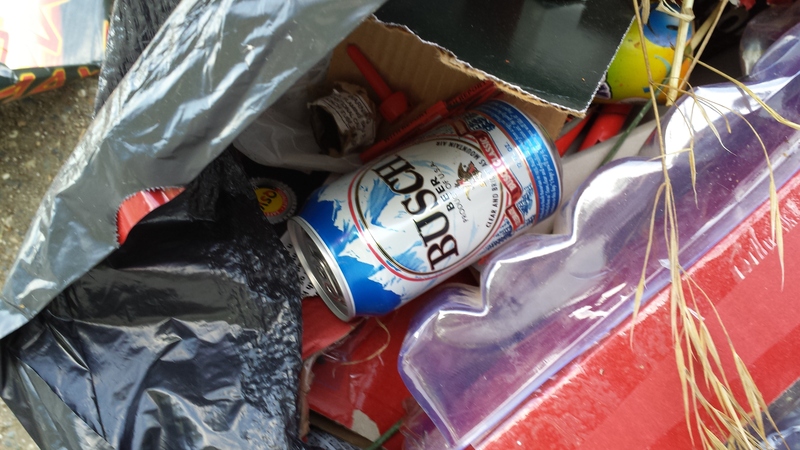 One of last night’s partiers forgot an unopened can of beer in the tall grass. The captain mentioned that it is NOT an emergency and was hoping to score an extra bilge pump to rid the water. He later explained that the leak was from the area of the auxiliary motor well and will probably need to beach the boat on a sandy bar for patching the leak. He went on to say “good thing for the extra two pontoons!”. At least the weather is calm (for now) and it’s not pouring on his furniture! Tip of the hat to our good neighbor Michelle for the heads up. UPDATE 2/14/2013: West Seattle Blog reports the boat sank by Harbor West Condos. A group of students from the University of Washington are gathering at Emma Schmitz preparing to check out tonight’s low tide for a biology class. Tonight’s chilly low tide will be a -2.81 at 9:41 pm.